Can I tell you how much my kids love snacks? Whether it’s choosing them for their school lunches, raiding the pantry after school, or taking them on the go, they pretty much love them for every reason and in lots of different forms. 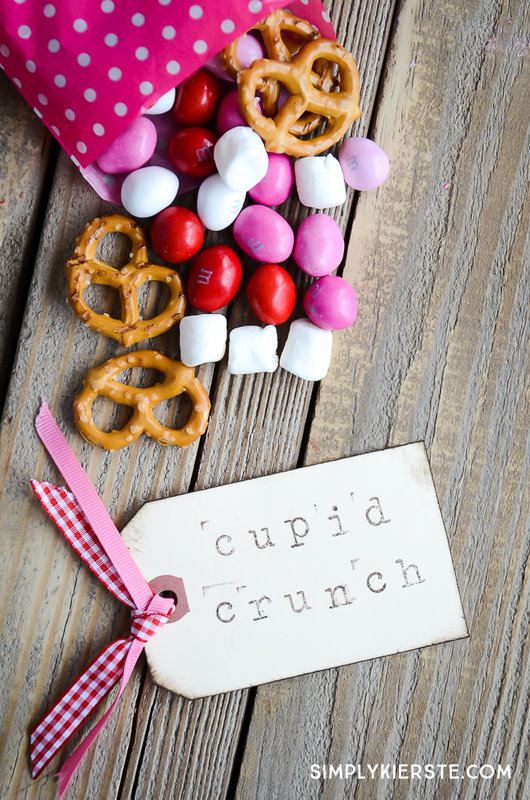 Around the holidays I like to come up with fun & easy snacks that make snack time a little more festive, and Cupid Crunch Trail Mix is a favorite for Valentine’s Day! So adorable, right? 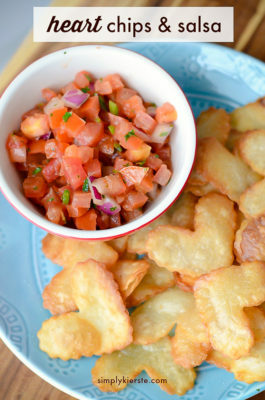 It’s yummy, super cute, and the kids love it. 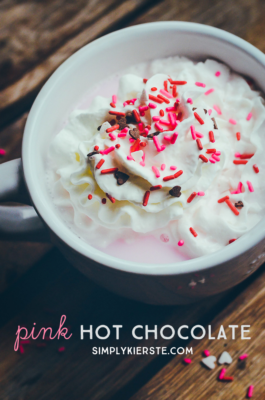 It’s perfect for adding to school lunches, serving at class parties, as a preschool snack, or setting out in bowls at a Valentine’s Day party. 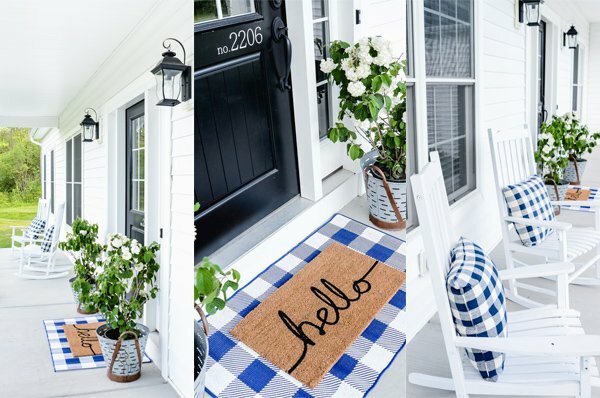 Best of all, you can customize it to include your favorite things! I kept mine simple, and combined mini marshmallows, pretzels, peanut M&Ms. 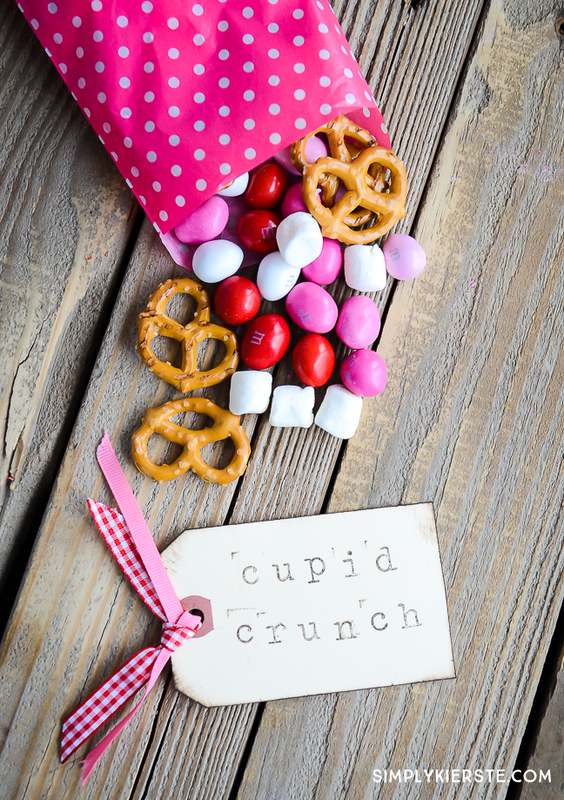 I have a little girl that needs to eat gluten-free, so I used gluten-free pretzels, and it’s a great snack option to send for her for class Valentine parties. It’s super fast & easy to throw together, so if you’re on snack duty, but don’t have a lot of time, this is perfect! 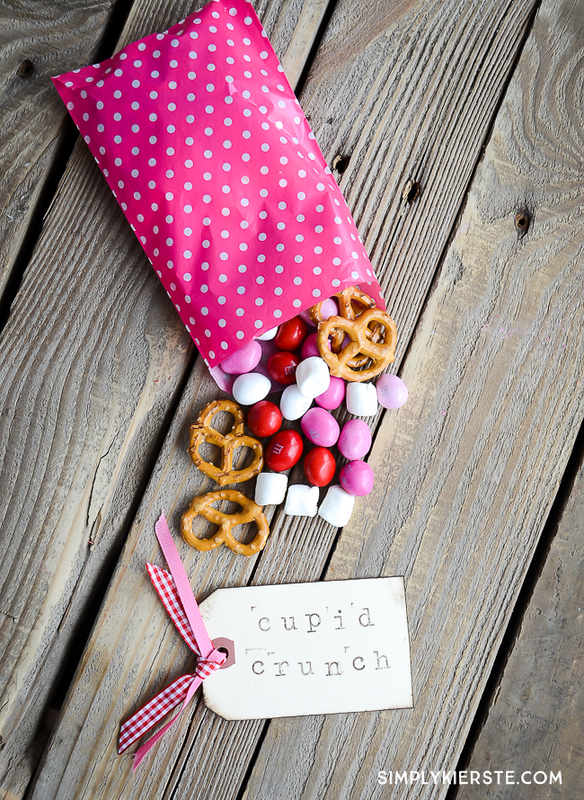 Individual servings look cute in paper or clear treat bags, or even mini paper sacks would be adorable!